The Treasury has put forward draft legislation that would temporarily empower UK regulators to make transitional provisions if the UK leaves the EU without a withdrawal agreement. "In these areas only, we expect firms and other regulated persons to begin preparing to comply with the changes now." The FCA has set out how it would use the temporary transitional power granted to it by The Treasury in the event of a no-deal Brexit. In the event of a no-deal Brexit, the Treasury would empower the FCA and the Bank of England to make transitional provisions, minimising disruption and ensuring that firms can comply with regulatory obligations as they did before exit. 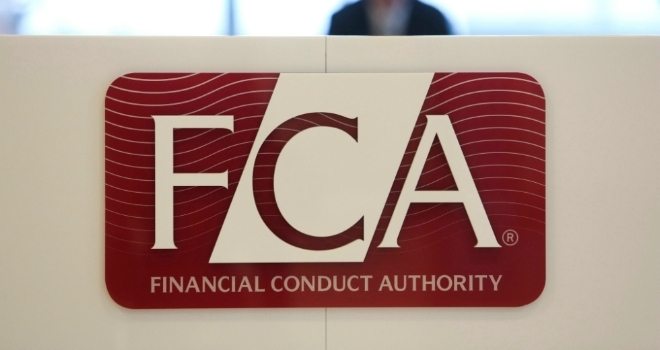 The FCA says this means most regulated firms do not need to prepare now to meet the changes to their UK regulatory obligations that are connected to Brexit. However the regulator says there "will be some areas where it would not be consistent with the FCA’s statutory objectives to grant transitional relief using the temporary transitional power". In these areas only, it says firms and other regulated persons should begin preparing to comply with the changed obligations now. - Firms subject to the MiFID II transaction reporting regime, and connected persons (for example approved reporting mechanisms). - Firms subject to reporting obligations under European Market Infrastructure Regulations (EMIR). - EEA Issuers that have securities traded or admitted to trading on UK markets. - Investment firms subject to the Bank Recovery and Resolution Directive (BRRD) and that have liabilities governed by the law of an EEA State. - EEA firms intending to use the market-making exemption under the Short Selling Regulation. - Firms intending to use credit ratings issued or endorsed by FCA-registered credit ratings agencies after exit day. - UK originators, sponsors, or securitisation special purpose entities (SSPEs) of securitisations they wish to be considered simple, transparent, and standardised (STS) under the Securitisation Regulation. In addition, existing transitional arrangements such as, for example, the temporary permissions regime will operate from exit day. Firms and other regulated persons wishing to use these regimes should ensure they have completed the necessary steps by exit day to enter the relevant regime. The FCA added that it has been consulting on changes to the FCA Handbook and binding technical standards but is not proposing policy changes, other than where appropriate to reflect the UK’s new position outside the EU. The regulator will also publish more information on how firms should comply with post-exit rules before exit-day. Nausicaa Delfas, executive director of international at the FCA, said: “The temporary transitional power is an important part of our contingency planning. In the event that the UK leaves the EU without an agreement, it gives us the flexibility to allow firms and other regulated persons to phase in the regulatory changes that would need to be made as a result of 'onshored' EU legislation. This will give firms certainty, ensure continuity, and reduce the risk of disruption.